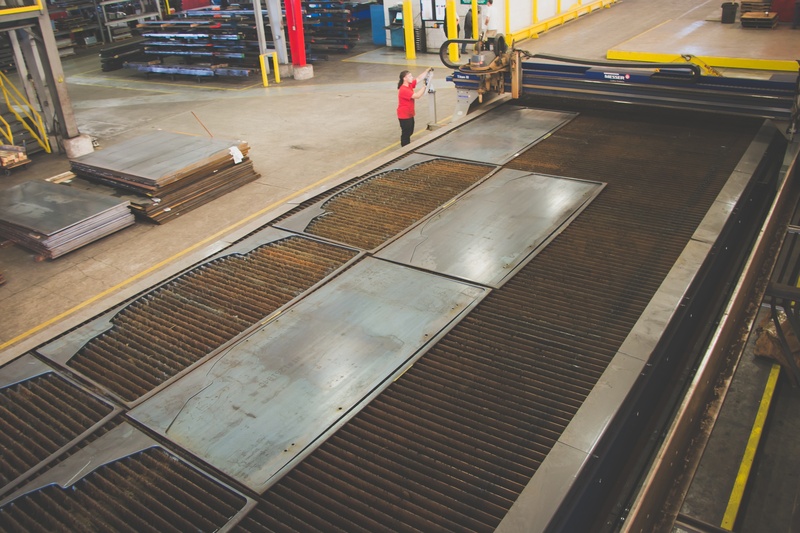 Reserved for more robust metal cuts, Anchor’s plasma cutting services provide rapid, high-scale, and cost-effective cutting for a variety of materials up to 2 inches thick, holding tolerances within .030 of an inch. This is an alternative to our laser cutting services, but our plasma cutting service is equally robust. 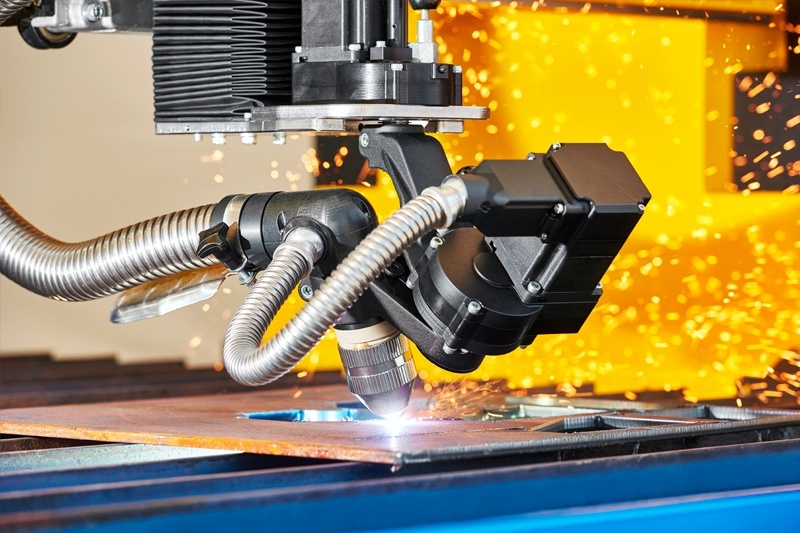 Through VA/VE Engineering for custom metal fabrication, our laser cutting service and plasma cutting services are optimized to reduce matierial waste and ensure absolute part accuracy. For precision work, be sure to check out our laser cutting services. Our plasma cutting allows for beveling up to 2 inches thick, providing preparation for weld joints, enhancing aesthetics, or use as an alternative to machining. With the machines we have on the floor, we remove downstream processes and unnecessary labor — saving you time and money making the perfect part. Custom metal fabrication requires adapting to OEM design, and that means maintaining the ability to apply bevels when needed. Given the sheer size of our tables (13 ft. x 60 ft.), Anchor will cut practically any size part you desire. 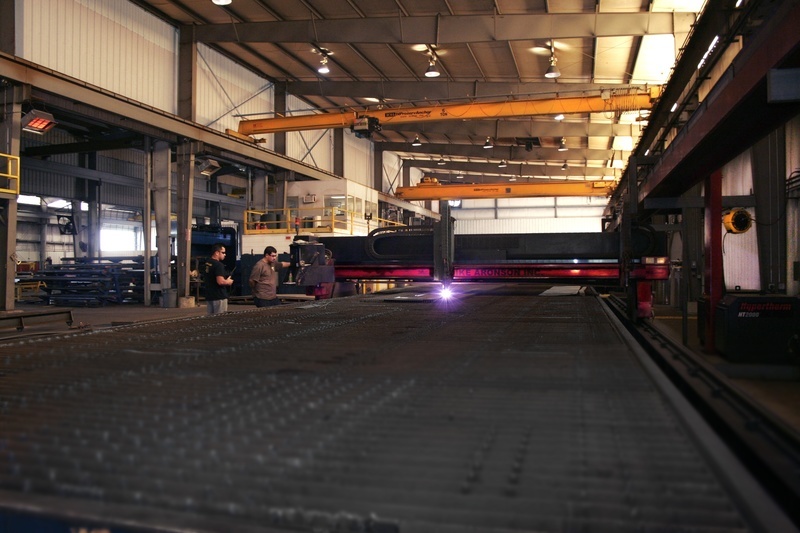 In fact, you won’t likely find plasma cutting with such high capacity anywhere else. In many cases, this means eliminating the need for additional welding (although we can do that, too). Our table size gives us the opportunity to work on several projects simultaneously. When combined with our downdraft exhaust system, we create parts with marked efficiency and timeliness.